Galileo Travel software is a computer reservation system that consolidates various travel services at a single place. Developed by Travelport, the system enables travel solution providers serve consumers with various travel services, shop for and compare reservations options, and book travel. Brainpulse is a leading web development company offering travel portal development with core expertise in developing self-reservation system for the travel agencies of all size. We integrate Galileo GDS system for the IATA agents through web services. Our Galileo GDS integration team develops the best integrated system by adding maximum number of possible inventories required to book flights, hotels, cars and cruise through Galileo GDS system. Our Galileo GDS based flight booking and reservation engines offer low-risk implementation and support for flight search, booking and ticketing using all major GDS such as Amadeus and Saber, especially Galileo. 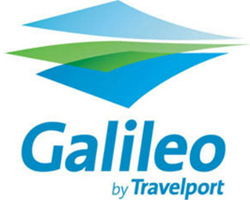 Galileo GDS system, launched by TravelPort, is the most used and popular Global Distribution System for travel domain. For travel industry, Galileo GDS provides one stop travel service execution tools including computer reservation software, top of the line travel system and web services XMLs. B2B and B2C travel software developed around Galileo Distribution System are now multiplying business revenue of the travel agents in countries like India, United States, Mexico, Europe, South Africa and Malaysia. How Galileo GDS (Global Distribution System) Works? The Galileo GDS travel software interconnects travel agents with airline, hotel, car rental, rail and other service providers via a single platform. The software is linked to the database of these agencies and allows access to the agents to let them access information about seat, rates, availability and discounts. The Galileo travel software integrates all these entities at one place and allows its access from a single dashboard. Brainpulse is a leading travel solution provider boasts of its expertise in providing consulting, development for all the aspects of B2B & B2C Galileo GDS / TravelPort GDS / Galileo API Integration and related solutions. Our development team has upper hand in developing cutting-edge Galileo reservation system for air booking, hotel booking, bus bookings, rail bookings and cruise bookings. To know more about Galileo GDS integration and how our Galileo GDS based flight booking and reservation engines offer low-risk implementation and support for flight search, booking and ticketing using all major GDS, give us a call or drop us a mail.